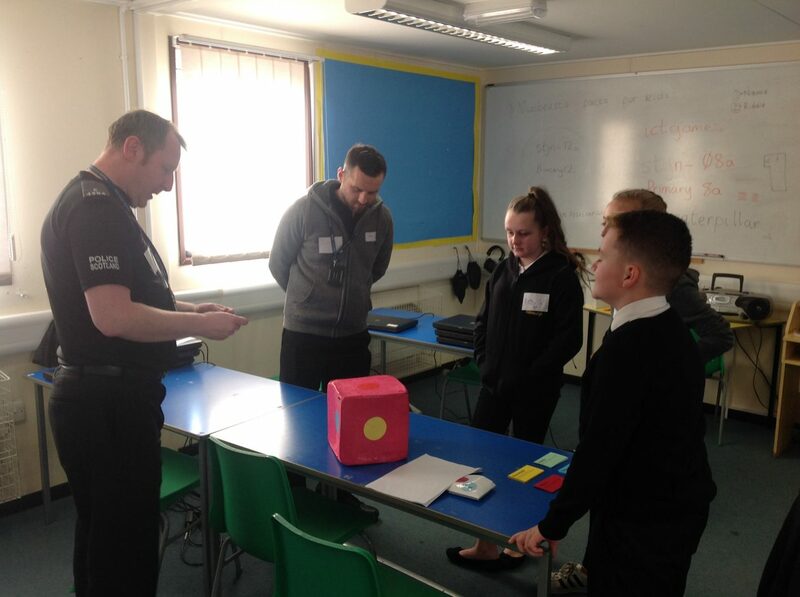 The Community Ambassadors at St John’s held two thought provoking workshops with members of SELMAS and local Edinburgh Councillors. 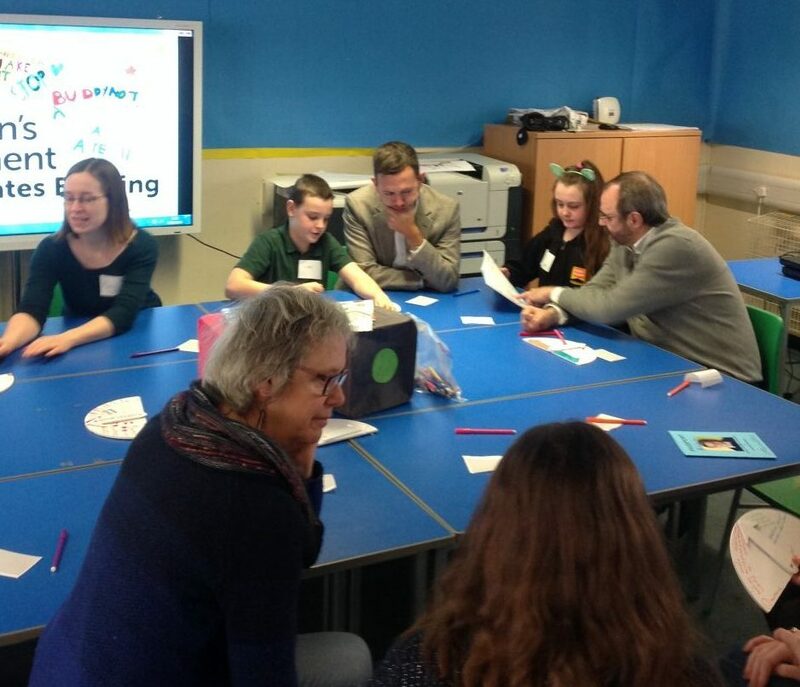 SELMAS are a community of independent education practitioners, who work with educational leaders to provoke mature debate on big issues facing schooling and were really impacted by what the children had to say. 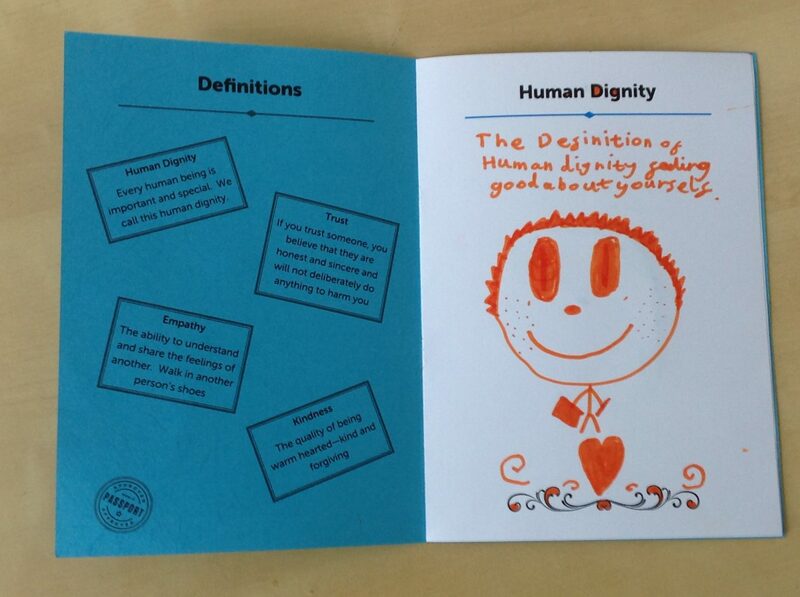 The Ambassadors guided the adults through the themes of the project, using the Dignometers to illustrate their personalised sliding scale experience of human dignity. 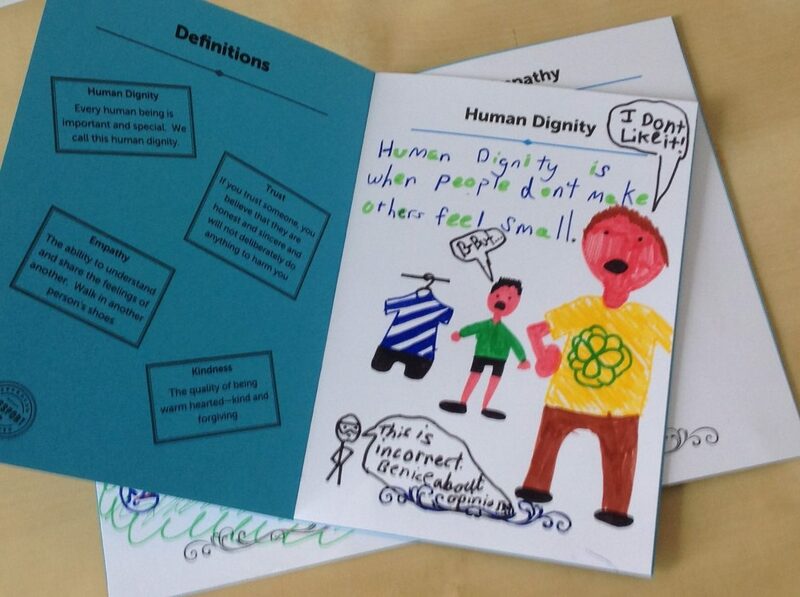 They also shared with them their Community Ambassador Passports where they had each written their own definitions and core understandings of what human dignity, empathy, trust and kindness meant to them. Next the group played our Ginormous Dice Game and children and adults discussed and shared thoughts around questions the children had designed. 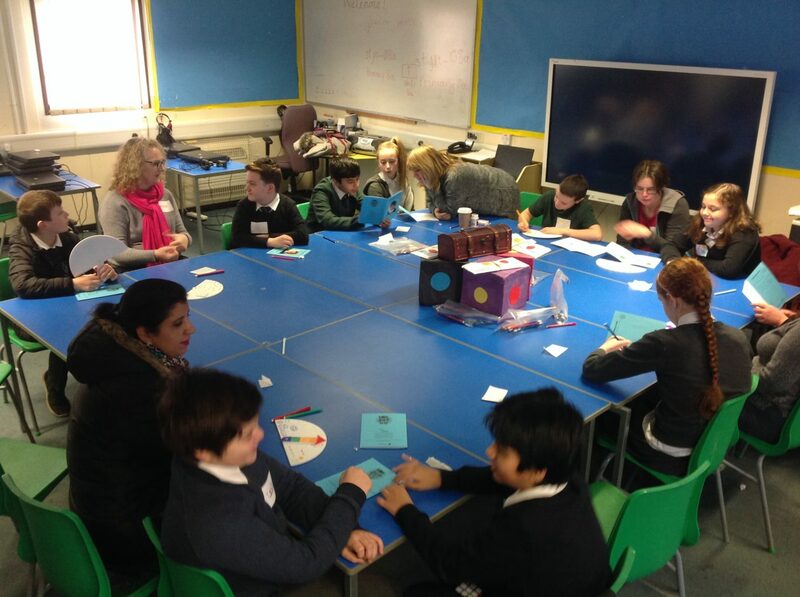 Everyone was really engaged and pupils from St Johns listened attentively to the honest experiences of some of the adults’ own school experiences. When it came time to read Sandy’s Story and do the dramatic freeze frames the children had designed, the Ambassadors really provoked thought and debate. An excellent conversation ensued between adults and children, offering opinions as equals, as adults were visually confronted with the realities of the challenges children face and the hard truth that adults are often perceived as bystanders. 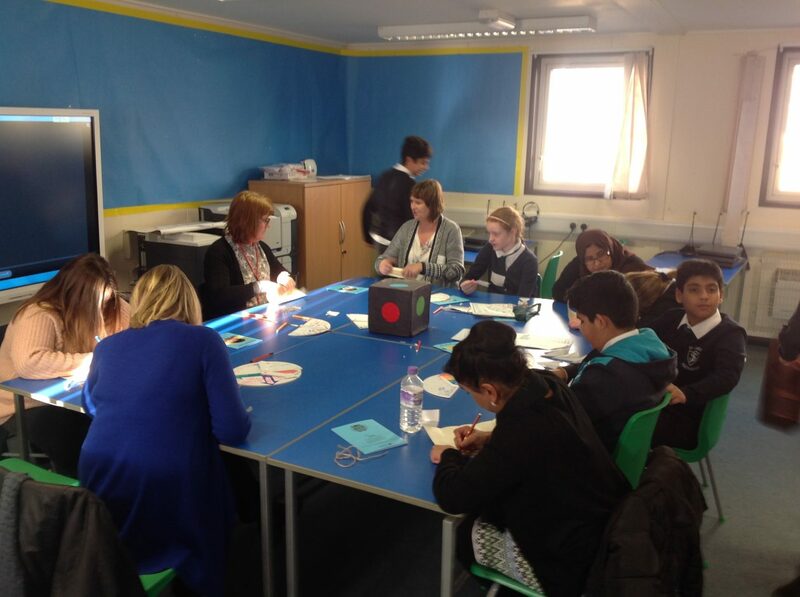 This part of the workshop really made an impression on the adult participants and caused a lot of reflection. 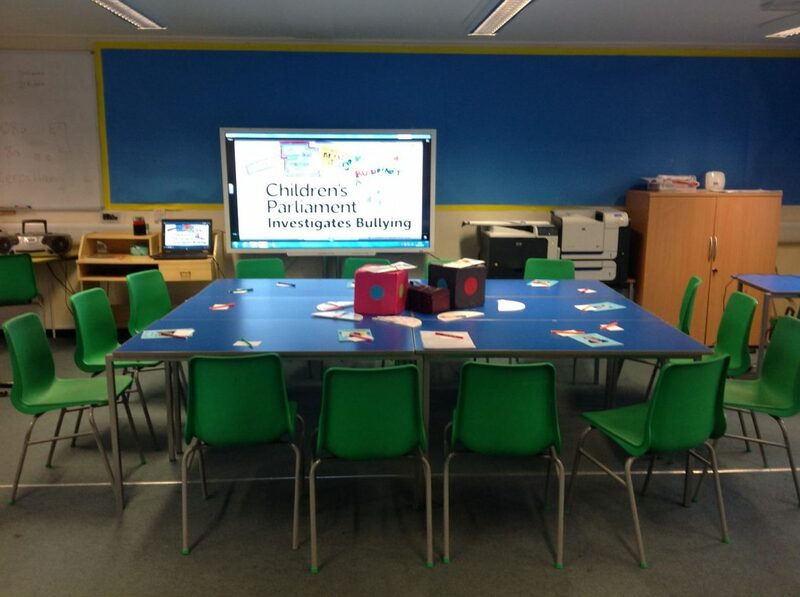 Everyone watched the Children’s Parliament Investigates Bullying film and then the adults wrote pledges in response to the workshop. We asked that the pledges would not be what you ‘could’ do but what you ‘will’ do to help children be happy, healthy and safe. Here are a couple. I will listen and act! 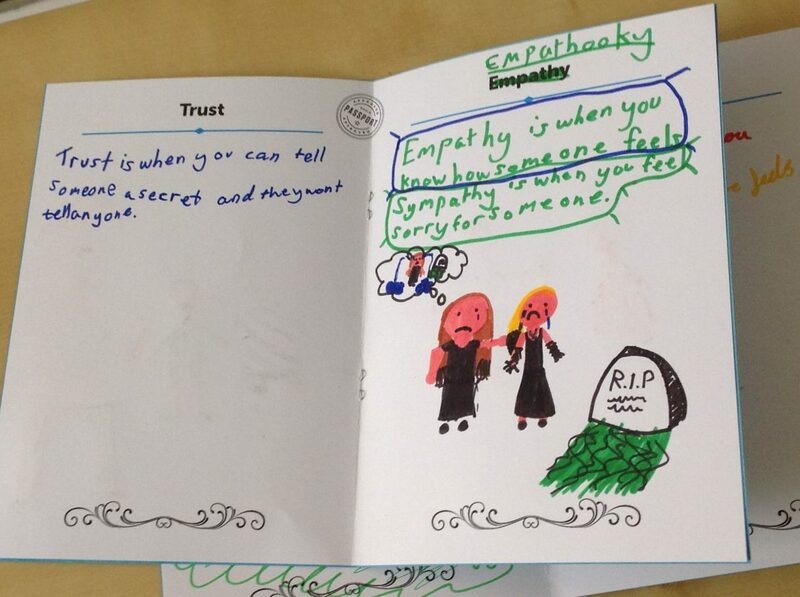 I, Caroline, an adult and parent promise to listen, act, show empathy, trust, kindness and help you keep your Human Dignity. When facilitating their first adult workshops, our two St. John’s Community Ambassador teams played host to different teams of adults. 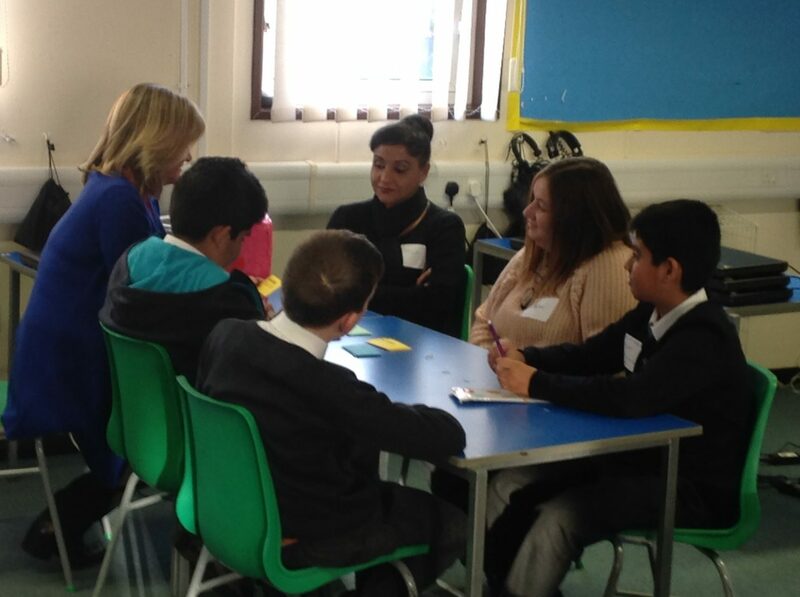 St. John’s CAPE Team 1 hosted a group of 6 Pupil Support Assistants who work with teachers/pupils in the school. Later the same day, St. John’s CAPE Team 2 worked with a group of Police School-Liaison Officers. 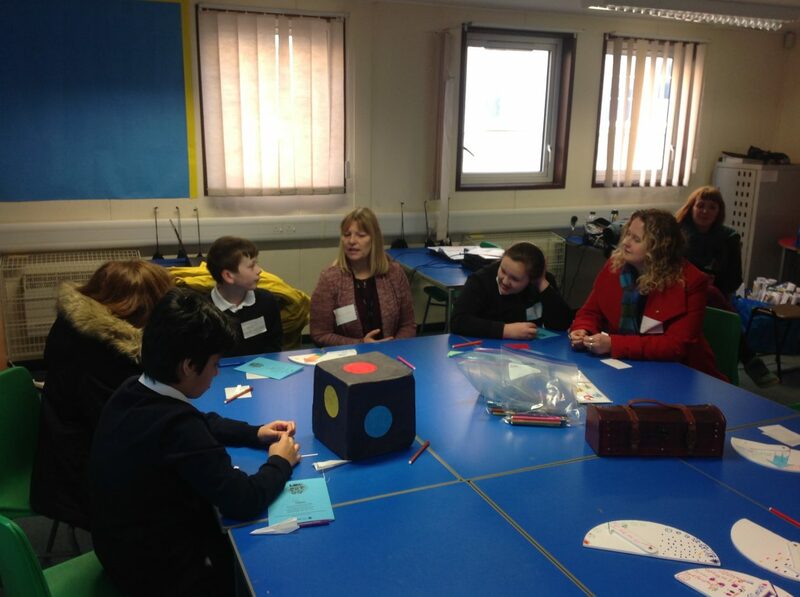 The Community Ambassadors guided participating adults through a number of activities, including Sandy’s Story and the Ginormous Dice Game, which are designed to showcase the children’s work and their learning attained through the programme. 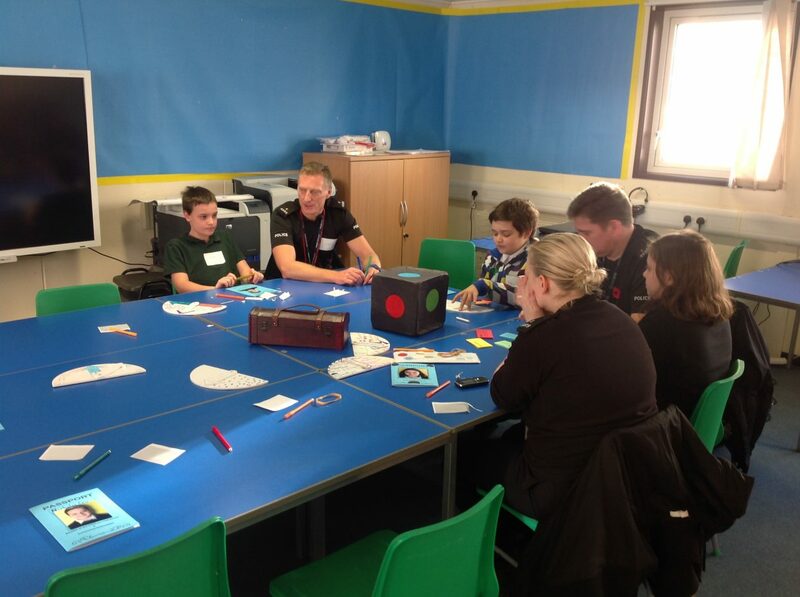 Importantly, the children were able to ask some difficult questions that required thoughtful responses from the adults. Our Ambassadors finished by asking the adult participants to make a pledge to them. This pledge requires adults to think about what they will do to make children’s lives healthier, happier and safer, at home, at school and in their communities. A big thank you to all of the adults who took part and played such a positive role in making the workshops meaningful and relevant for our Ambassadors. I Verity, Police Officer, pledge to support every child that asks me for help. I pledge that I will always respect young people and always be here to listen to them when they need my help or advice. PS and to eat less McDonalds!!! Greig. I promise to try hard to listen to children’s points and not just say try to ignore people who are annoying you. Helen Kame, PSA. When a child come to me in the school or playground I will try my best to listen and reassure them to the best of my ability and hopefully make that child better in themselves. Moira Scoular, PSA. 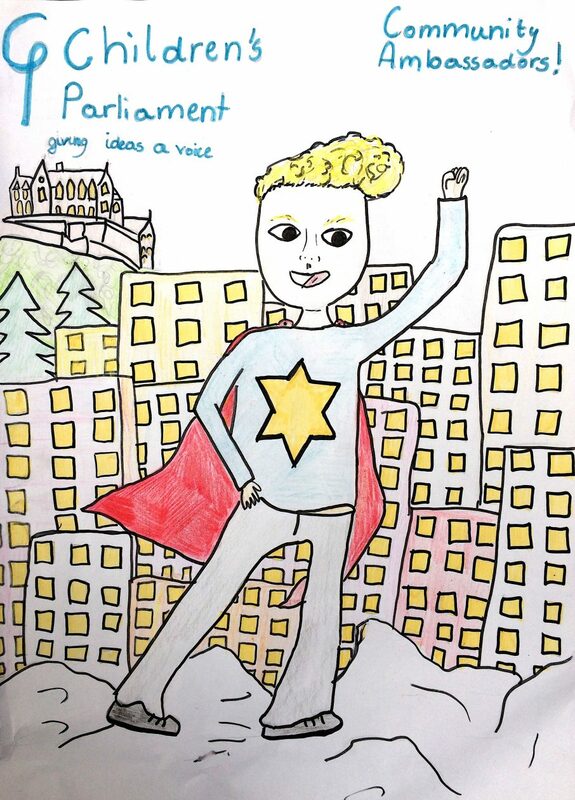 Julia created this super character to symbolise the Community Ambassadors. We think you are all superheroes! Thank you, Julia, for sharing your idea with us all. At today’s session in St. John’s, our Community Ambassador teams spent time reflecting and thinking about the work we have been doing together in the programme. 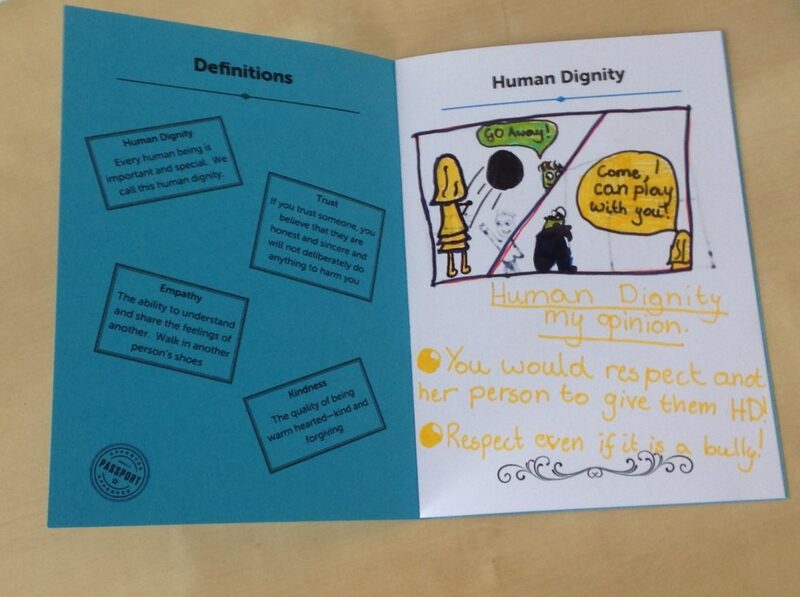 Looking at the themes of Human Dignity, Empathy, Trust and Kindness our Ambassadors completed their Community Ambassadors Passports, some examples of which you can see here below. Ambassadors wrote and drew the most important messages and issues that have come up for them during our time together. In our Passports, we’re beginning to think about our ideas on how to talk with adults about the issues that are important to us. We are starting to think about what we want adults to THINK, FEEL & DO when we ask for support.